Santa Cruz Bicycles is a manufacturer of high performance off-road bicycles. They build some of the most technologically advanced bikes available today. Their customers take their bikes seriously, as they should— they use them in some pretty exciting ways. Customers of Santa Cruz, which include retailers and consumers, expect the best. That’s why they chose Santa Cruz. But they don’t just expect the best bikes and technology; they expect the best support and service from the company. To maintain that level of service as they grow, Santa Cruz uses Service Hub. 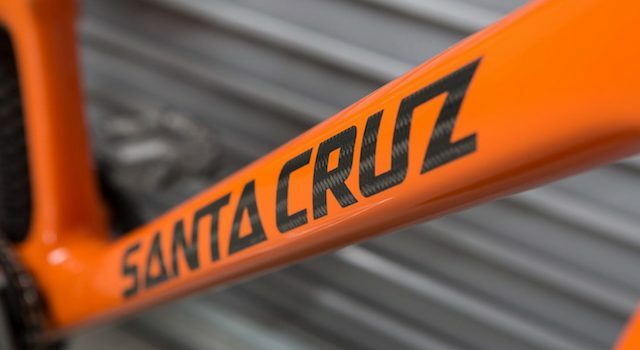 Santa Cruz has a long history of putting the customer first, ever since founder Rob Roskopp built and sold the first Santa Cruz bike. 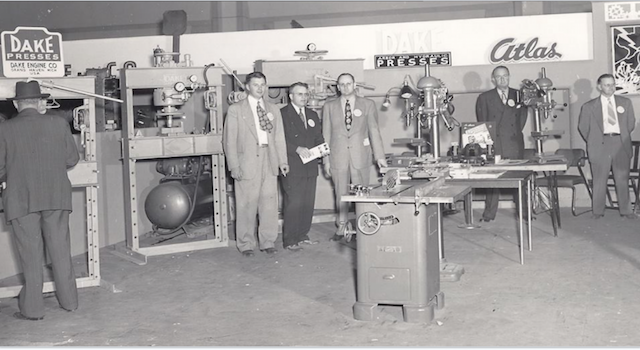 Early on, it was simple for the company to maintain a tight focus on customers. But a recent period of high growth challenged the company's approach. They’ve had to find new ways to organize communications and scale customer work. 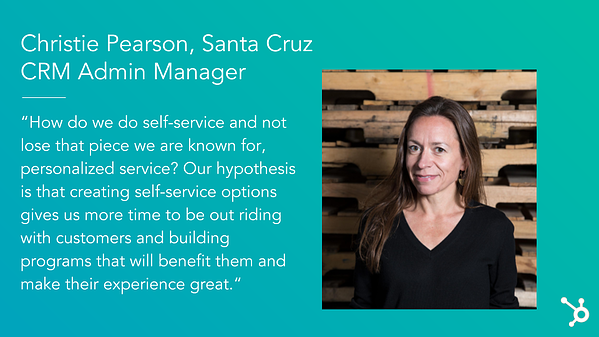 We interviewed Kyle Harder and Christie Pearson from Santa Cruz to learn how they think about customer service and how they use Service Hub to bring their vision to life. Christie Pearson, the CRM Admin Manager, manages the HubSpot tools and operations at Santa Cruz. She’s developed a deep understanding of their customers' needs and expectations that come with being in the high-end product space. Kyle Harder, the Rider Support Lead, runs service at Santa Cruz. He also sees the company's focus on the customer as a big differentiator in their segment. “It got pretty bad. It wasn’t horrendous; we never let it get to that point. But it was just me and one other guy taking care of all customers, and we were all over the place. One email inbox was too much, the volume just got to be way too high." "The volume was just too much, we couldn’t handle it, we needed some sort of organizational tool to bring everything together." 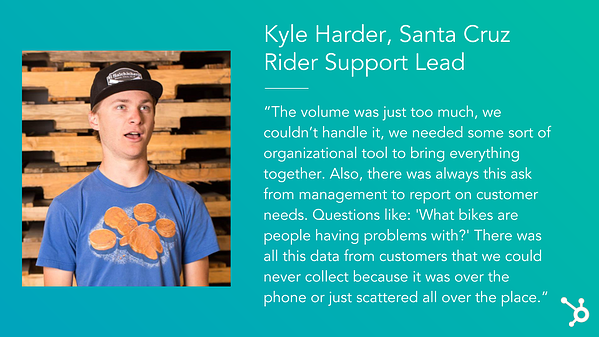 Kyle and the team knew they had to figure out a better solution to help customers. Their current approach just wasn't sustainable. Equally as important was the ability to report on the work they were doing and share customer feedback with management. 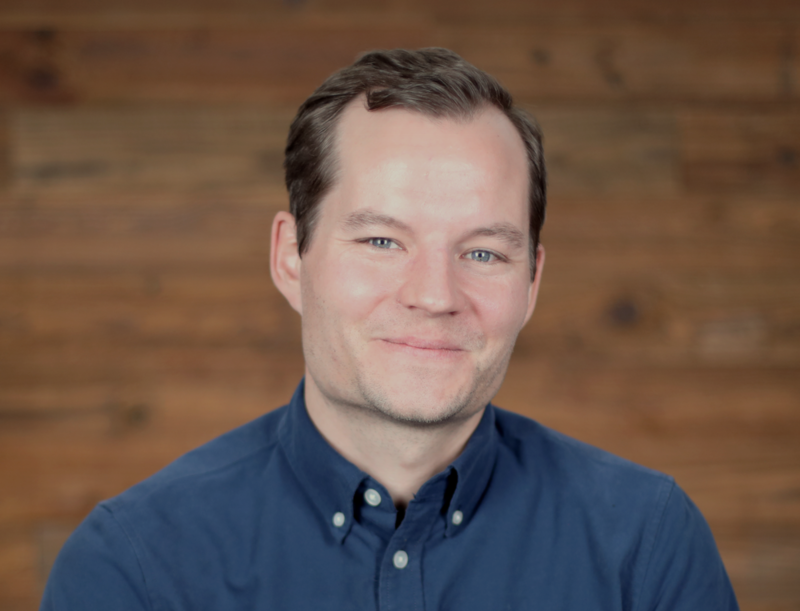 How Do You Scale Customer Happiness as Support Volume Increases? 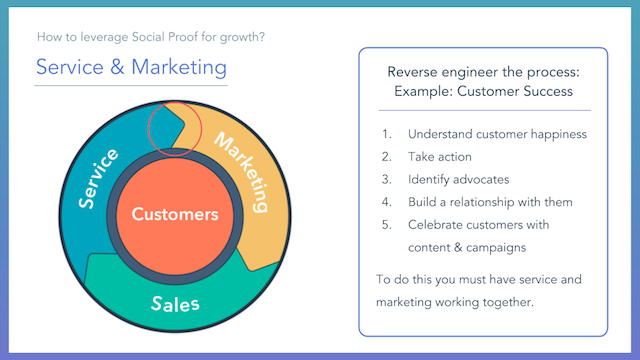 Because the team was already using the HubSpot CRM for customer data, they tried to see if it could work as a service solution. With Service Hub, Kyle and Christie were able to build out a more organized system. Today customers can either email a "contact us" email alias that's connected to the Conversations tool in HubSpot, or fill out a support form on the company's website for warranty issues. These issues, which are generally more complex, come in through the website form before they're turned into tickets. With this system in place, the team can respond to customers in a timely manner and keep all customer questions streamlined. So their efficiency increased without sacrificing quality service. 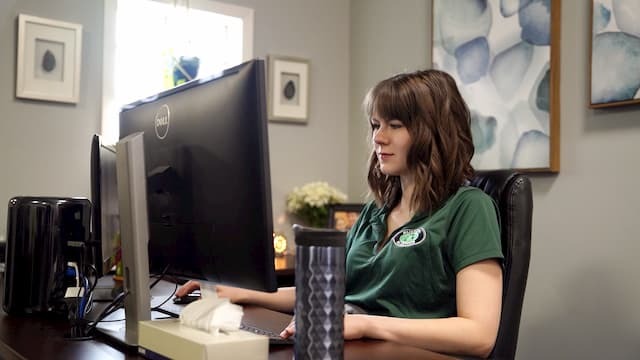 With their ticketing / help desk system, they can organize data, track issues, and report on the type of requests they receive to their management team. At the same time, Service Hub has created a new level of clarity across their organization. The team strives to continue to improve and grow better and need to be able to share customer feedback in a central place. The result is better collaboration and an improved customer experience. And the benefit of this system doesn't stop at customer and employee experience. Due to how streamlined and scalable this process is, the team has seen more success when welcoming new members to Santa Cruz. “We are growing fast, and the old way wasn’t sustainable. But now we have a system, and it’s easier to hire people, plug them in, and ramp them up faster." Maybe the biggest value for the team is the fact that now all their service data is actionable. With their help desk reporting cranking, they're able to optimize how they operate and solve issues faster. Before they implemented a help desk system, customer inquiries were hard to manage. "Today people are getting better answers quicker. Because we’re getting more complete information from the form instead of multiple calls and emails. People are really happy with that." The team is also trying to create more self-service options for customers. This is a shift for the company but they feel more proactive solutions will give them time back to focus on customers. "When we say the 'A word' here, automation, it sparks conversation about how far we are going. Are we making sure it’s personalized? We don’t want to abuse any customer’s data, or put off an image that we’re here when we're not. Those are sensitive topics, and we want to do it the right way." The team at Santa Cruz is a great model for how to grow fast — but not at the expense of the customer experience. To learn more about how you can use Service Hub to scale customer delight, get a demo of Service Hub today.